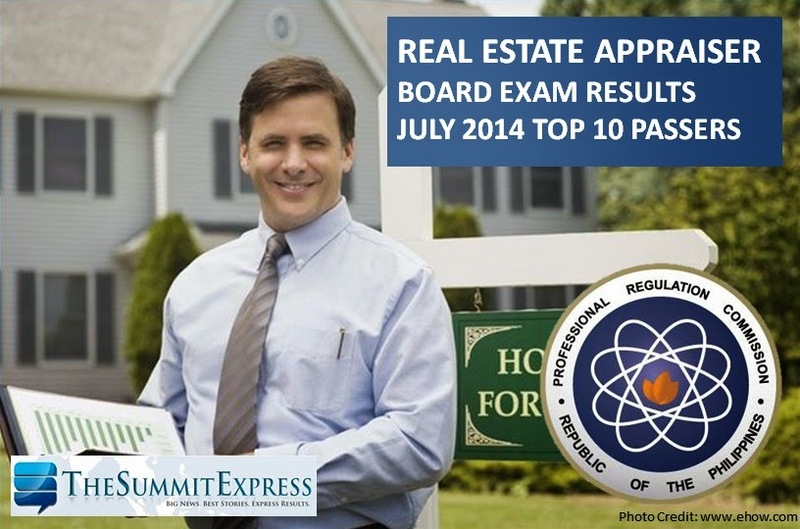 The Professional Regulation Commission (PRC) on Thursday, July 17, 2014 announced the full list of passers for July 2014 Real Estate Appraiser board exam. 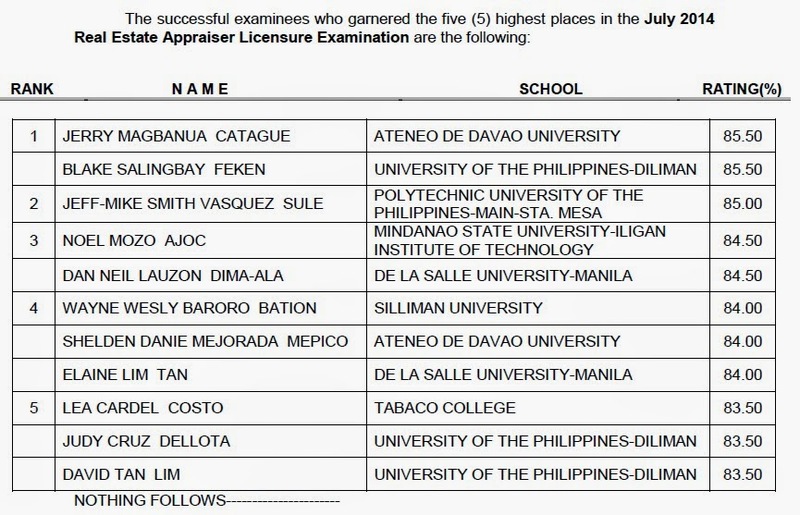 Jerry Magbanua Catague of Ateneo de Davao University and Blake Salingbay Feken of University of the Philippines (UP) - Diliman topped the board exam with 85.50 average grade. A graduate of Polytechnic University of the Philippines (PUP) - Main Sta. Mesa ranked second with 85.00 percent grade.